Testing at the speed of… change. Will the problems the public education system be solved by employing standards-based solutions like Common Core (or some other standard-based curriculum)? This seems like an interesting question. A lot of follow-up questions would be needed. 1. What are public education’s problems? 2. What’s causing the problems? 3. What do we do about problems that aren’t solvable under current law? 4. Are certain standards-based solutions better than others? 5. What will education look like when all its problems are solved? I don’t want to sound like a skeptic, but, here in Michigan, we’ve been at this for a while. In Novemeber 2005, the National Governor’s Conference decided that high schools weren’t rigorous enough to prepare students “for an increasingly competitive global economy.” In Michigan, this led directly to the development of the Michigan Merit Curriculum. The results weren’t good. By 2011, the state set the proficiency “cut scores” at 39% of the MEAP Test questions correct. (Got that? The Michigan Department of Education was cool writing a test, giving to every student in the state, and calling “proficient” any student who could get 40% of the test right.) This, of course, showed that 90% of 3rd graders were proficient in mathematics statewide. By 2012, when the cut score was raised to 65%, statewide proficiency dropped to closer to 40%. After all that, we’d changed a number of laws, including approving the Common Core standards. However, a lot of those laws were designed to appeal to Arne Duncan and his several billion dollars, which never came. So, we have a department of education that has approved Common Core. 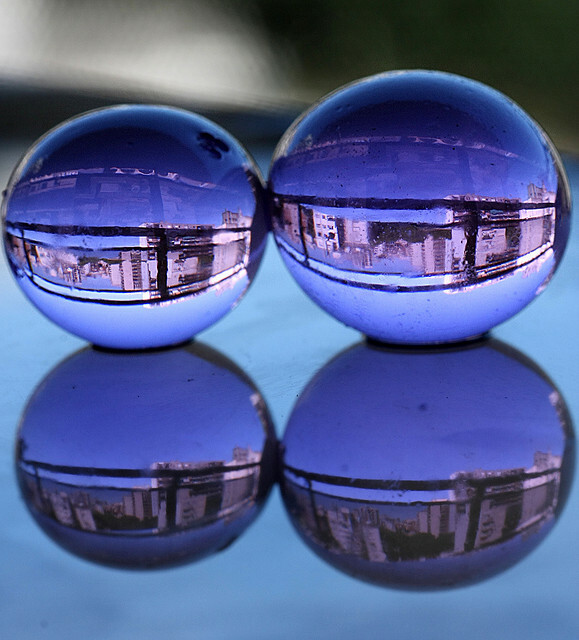 By January of 2012, the state was gearing up for the Smarter Balance Test. We even had school districts running trials and pilot testing situations (my district included), even as the state legislature determined that it didn’t have the funds to support Common Core. Bear in mind, these changes had all come quite quickly. If this upcoming junior class (class of 2016) is to take the Smarter Balance Assessment, it would have done so after an education that included no standards (from kindergarten to 2nd grade), Michigan Merit Standards (3rd grade until 7th grade), and Common Core Standards (since 8th grade). Keeping in mind the implementation dip that is going to accompany the transition periods, it’s really any wonder why we have any expectations for this group beyond simply finishing the test. And the speed of change wasn’t being lost on people. Common Core dissent is gaining publicity and some think that is makes for some pretty compelling television. So, Michigan is stuck having blazed a trail that isn’t exactly popular and isn’t exactly funded. So, it looks like we’ll stick with MEAP another year, except we might steal some of the Smarter Balance questions. We currently don’t have a test written, or dates to plan on. The only certainty we have is that we can rest assured, there will be some test we will have to give. I started teaching in 2006. This has been my experience for the entirety of my career. All of this flurry over which standards, which test, which questions. For what? People are yelling, negotiating, quitting their jobs over all of this. But we still don’t have an answer to the original question. Oh, and there’s these other questions that are going to come into play. 6. Should kids who fail to meet a proficiency standard move on with support and accommodations? or be held back to start the program all over again? 7. What are the academic grounds on which a student should be eligible to be a varsity athlete? What level of participation is acceptable if the student doesn’t meet all the standards? 8. What is the acceptable age at which a young person, or their family, should be able to freely opt a student out of the state’s preferred education program without penalty? What are the conditions on which an opt-out application is accepted? All of these questions I have seen people yell and scream in disagreement with each other. Yelling. Over athletic eligibility and the disagreement over social promotion vs. retention. Education is filled with passionate people. We don’t need any more passion. We need more wisdom. We need calmness. Patience. I would love to see the State of Michigan (or any state) just stop all of this madness until it can issue a research-based negotiated document answering those 8 questions with rationales, just so that we know that those answers have been factored into any plan to move forward. I hate to sound like a skeptic, but until we are prepared to clearly build consensus on those eight questions, all of our “fixes” are much more likely to make the problems worse, not better. 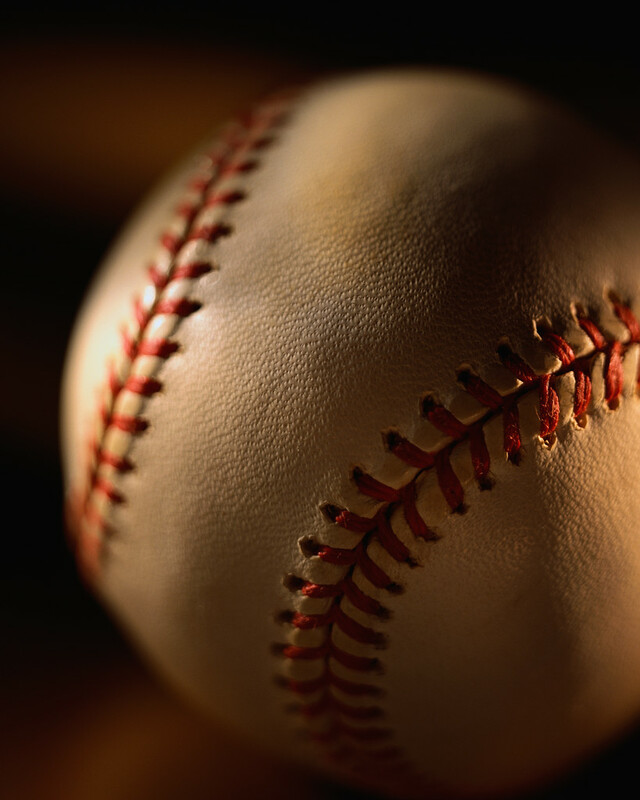 In the last couple decades, baseball has gone through a statistical revolution because of a fairly simple question: “How good is that baseball player?” For the previous 8 or 10 decades, there were a limited number of metrics that got used to evaluate ballplayers. Hitters, for example, were evaluated by how often they got a hit (batting average), how often their at bat produced a run (RBI), how many home runs they hit. Pitchers were evaluated by the number of batters they struck out, how many runs the other team scored that the pitcher “earned”, and how many games the pitcher started in which the pitcher’s team won (or thereabouts… the pitcher “win” is actually a pretty odd (and seemingly useless) stat…). What made those statistics appealing is that they were fairly easy to compile and communicate. Education is dealing with a similar issue. We are trying to become a data-driven. We want to use data to tell us what the education world is like. So, we started measuring things. Important things… like literacy. Literacy was at 98%, huh? One can fairly easily derive the intended meaning of this meme. It would seem like “ParentsForLiberty.org” would like us to think that in 1850, the world was a much more educated place because 98% (of… something…) were literate. But let’s examine the statement “literacy was at 98 percent.” Talk about a loaded statement! 98 percent of students could decode a text? 98 percent of eligible voters could read the ballot? 98% of families owned a book? What does “literacy was at 98 percent” mean? 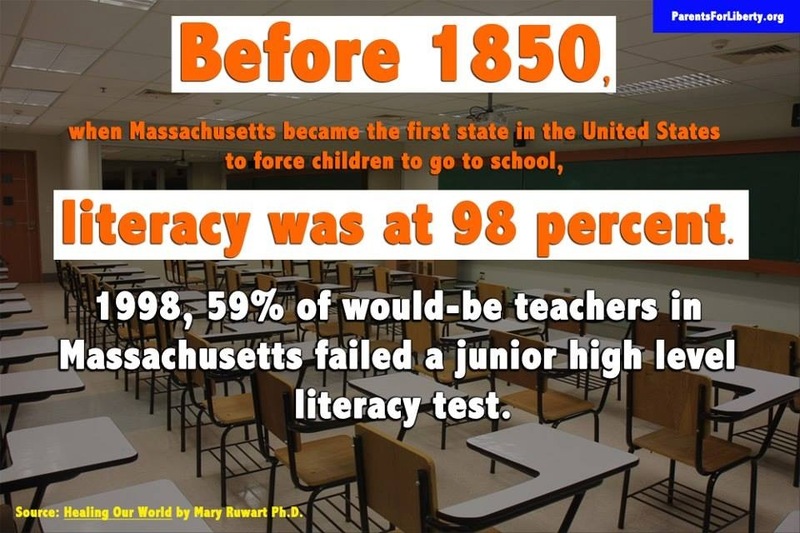 Maybe there was a test, and 98% of the kids passed it, which is good, except perhaps before Massachusetts made education compulsory, only kids who could read went to school. Literacy is complicated. There are some parts of education that are easy to measure. (For example, attendance, homework completion, correct multiple-choice answers, grade-point average). We’d like literacy to be easier, so we invest in tests like DIBELS that attempt take a student’s literacy and work it down to a set of ratings that are easy to communicate. The ACT does the same thing with college readiness. College readiness is complicated, too, but reading an ACT score isn’t complicated. We’ve tried to quantify as much as we can. We’ve tried to quantify student performance, teacher performance, curriculum performance. We want to know how well they are working. We want to know where we are being successful and where we are letting our students down. That’s a good thing. The problem is that there are some incredibly important parts of education that are very difficult to measure. Like, impact of an individual classroom management strategy on student achievement, student engagement, scheduling classes to optimize student achievement or the role of extra-curriculars. These are HUGE questions with answers that are not easily quantified. And most school districts are without the means (time, money, qualified personnel) to do an in-depth analysis necessary to achieve a well-rounded look at a complicated issue like overall student achievement for each student each year. So we substitute with some easier to achieve metrics like DIBELS, an ACT score, and grade point average. And those have become our Pitcher Wins, RBI, and Home Run. They don’t tell us nearly enough of the story. Where’s our sabermetrics? Where can education go to see the stats that can combine to provide a more three-dimensional look at our system, our teachers, and our students? I understand why baseball got the first turn with the statisticians. There’s way more money in it. Maybe some of you stats folks who have decided that your financial future is secure wouldn’t mind e-mailing me. We’ll sit down. I’ll share with you the data I have (a ton) and we can develop some formulas that produce some metrics. Maybe you can tell me how well that curriculum program is working? How about what kind of environment a particular student performs best in? Which types of literacy patterns are strong predictors for future struggles in mathematics or science? In education? A lot of things, it seems. At least that could be the assumption if someone looked at the ways that we use policy to make decisions on behalf of our young people. So, our policies have helped us fend off that which we fear, right? Well, not so fast. We can legislate our students to be on site, and largely we have. The compulsory attendance rules are enough to convince the overwhelming majority of students to attend their classes almost daily. But it can’t make them value it. Consider the likely state of a basketball team if each student was require to play a season. Coaches would probably spend an awful lot of their practice time deciding what to do about student who are literally only there because the state requires them to be. This would take its toll on the quality of the coaching that the program would be able to provide. And because of the inherently competitive nature of basketball, we have no problem making decisions in the best interest of the quality of the programming. While I am not advocating for tryouts and cuts into the high school mathematics program, I think that it is fair to assume that the compulsory nature of the program has the same effect… and that the effect is undesirable. As a math teacher, my job has never been so secure. The state has ensured my classes are full every hour, every year. Those kids don’t have a choice. They have to get through Algebra II and they have to take a math class their senior year if they should happen to go on ahead (that’s the law in Michigan, where I teach). They don’t have to value mathematics. They just have to earn credit. So, we’ve won, right? Armed with 4 years of math, they are ready for college… Well, not so fast. Still much remediation is needed at the college level (at least in New York… and Washington… and California… and Illinois… ). This seems like a natural consequence of us increasing the amount of non-negotiables that we a putting on our students. Think like a teenager: What’s the point of taking ownership if you are simply going to tell us everything that we have to do anyway? So, now we are faced with a very real conundrum. If ownership improves motivation, what is the natural consequence of legally forcing our young people to come to a place where most of their decisions are made for them? Policymakers saw a problem with math achievement, so they require kids to take more math, removing a certain amount of ownership from the students. Well, when ownership drops, motivation follows. When motivation drops, achievement follows. When achievement drops, new policies are put in place that remove a little more ownership from the students. Then ownership suffers, and when that happens… you see where this might be headed? And just like people simply never “got used” to prohibition, it seems unreasonable that students will eventually begin to self-motivate in a place where there is very little academic autonomy. All this having been said, I don’t think compulsory education is going away. I don’t think math requirements are going away. So, what are we to do? That makes the job of the math teacher to do everything they can to convince students that our math classes are useful. (I’ve talked about this before: In my “useless math class” series from earlier in the year.) Each course they take is an opportunity to learn how to model and solve problems of ever-increasing complexity and realism. Each course provides practice at modeling life situation mathematically because the math provides the means to focus on the essential variables of the problem. Each course provides an opportunity to develop a way to cope with the struggles that come with learning challenging material and being supported in the process of developing deeper understanding. The education system is facing a problem in the area of mathematics. But low achievement is a symptom. It isn’t the problem. The problem is that our classes aren’t valued by our young people. That is a problem we can’t policy away. That is a problem we have to fix in the classroom by putting our students through valuable experience after valuable experience after valuable experience. The #MTBoS is working hard to develop those experiences for teachers at all levels. Given the ways that the policies are undercutting our classes effectiveness, the conversation has never been more important. The pub isn’t all negative. Some groups, The NEA among them, have come out in favor. Phil Valentine has some good things to say in support. It is possible that both sides are probably overstating the impact that the CCSS will have. That being said, I will admit that I have some opinions on the CCSS. This year is our first year introducing a new geometry curriculum that we designed around the CCSS. I’ve written a few pieces before this one that have chronicled my journey through a CCSS-aligned geometry class. For example, I’ve documented that the CCSS places a greater emphasis on the use of specific vocabulary that I was used to in the past. I have also discussed (both here AND here) that the CCSS has present the idea of mathematical proof in a different light that I have found to be much more engaging to the students. As I read the different articles that are being written, it seems like the beliefs about the inherent goodness or badness of CCSS has a lot to do with how you view the most beneficial actions of the teacher and the student in the process of learning. It’s about labels. Proponents call it “creativity” or “open-ended”. Opponents call it “wishy-washy” or “fuzzy”. I suspect they are seeing and describing the same thing and disagreeing on whether or not those things are good or bad. The CCSS have become a lightning rod for a ton of simmering arguments that haven’t been settled and aren’t new. Consensus-building and opinions in mathematics vs. the authority of the instructor and the textbook. Classical literature vs. technical reading. The CCSS have woken up a lot of frustrations that are leading to some high-level decisions such as the Michigan State House of Representatives submitting a budget that blocks the Department of Education’s spending on the CCSS. It is a little strange thinking that I am making a statement in a fairly-heated national debate every time I give my students some geometry to explore, but it seems like I do. And I am prepared to make that statement more explicitly as I continue this reflection. I want to explore two very important questions: How? and Why? These questions tend are at the heart of the talk over how to “reform” America’s schools. Everyone from Sir Ken Robinson and Dan Carlin to Sal Khan and President Obama has an ideas. Some I agree with (the first two), some I’m not completely sold on (the last two). Either way, they all agree on this: something’s wrong and we need to fix it. How do we go about fixing things? Bush’s No Child Left Behind, with it’s younger brother Race to the Top has something of a logical plan for creating success. Except that is isn’t really working very well. When it doesn’t work, then you have to move past the why-it-should-work-explanations and move toward a new set of discoveries. What if there was a place where education is working well and we could explore HOW the system works. We can deal with WHY later. We have theorists and researchers who love to publish papers. They can work on the WHY. I am a practitioner. I am entertained and engaged by the WHY question, but find the answer to the HOW question more fulfilling. Highly emphasizing “soft skills” like analysis, creativity, collaboration, and communication. By doing this, they’ve created a national school system that is among the very best in the world. Now, before I get labeled a “Finn-o-phile,” I want to state up front that I have no particular affinity for the Finnish culture (although, full-disclosure, I am partially of Finnish descent). I am focusing on Finland’s system because it is working better than ours. To explain, I am going to let two articles most of the heavy lifting on this one. One from the Globe and Mail out of Toronto and the other from The Huffington Post. One of the ways the Finnish education system accomplishes [its success] is by giving individual teachers greater autonomy in teaching to the needs of their classes, rather than a top-down, test-based system. The reality in Canada, which is unfortunate in Dr. Sahlberg’s view, is that students are rewarded for competing against their peers, teachers are held accountable by their class’s performance on exams, and schools are compared through widely published standardized test results. Finland takes an alternative approach. The story is the same below the Canadian border as well. Standardized testing is THE evaluation tool for most schools and teachers. Real estate agents love it because it is so ingrained in our culture that parents will move into communities with good test scores because we’ve been conditioned to think that those are measures that tell the whole story. The Finnish system does the opposite. Perhaps exposing a bit why standardized testing is avoided in Finland, these “soft” skills that are difficult to assess off a bubble sheet. According to Finnish National Board of Education, the National Core Curriculum includes options for on-the-job training with flexible assessments in which student can earn credits through “set of work assignments, a written paper, report, project assignment, product or equivalent” completed “performed individually, in a group or as a more extensive project.” American policy-makers are starting to appreciate these skills. Indeed, have you read about the Smarter Balanced Assessment? Leave it to us Americans to try to find a way to create such a standardized test. 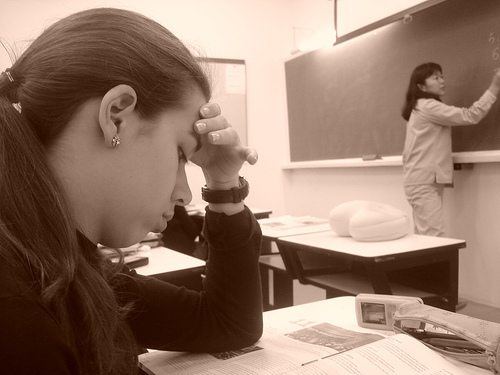 We seem to think that if students are struggling, they need more time in school. The Finnish system does the opposite. So, let’s recap: Less time in school. Less testing. Less competition. More success. Could you imagine an American Politician standing on that platform? The Finns have produced a system based on trust. They trust the teachers, they trust the local districts, they trust the students. The American system is based on a lack of trust. We call it accountability. We mandate curriculum because we don’t trust local districts. We over-rely on standardized tests because we don’t trust the teachers. We want longer school days because we don’t trust the students. There is a nation that is excelling at education. They are, in many ways, doing the exact opposite of the things that we are doing. We, who are eagerly seeking to improve our system, are putting our hopes in standardized testing and state and federal manipulation of school districts through funding incentives. Perhaps it’s too early to state boldly that American reform efforts will fail, but we can say boldly that there are places where real excellence is happening and those people are moving in the opposite direction. We could spend weeks arguing/discussing/explaining about WHY the Finnish system works. Don’t get me wrong, that is important. But, what matters most to me is this: It works. We could be doing what they do. We’re not… and it appears we won’t be for the foreseeable future.